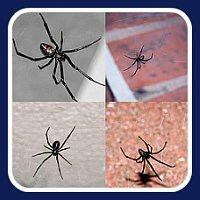 In the USA a Black Widow Spider Bite or Brown Recluse Spider Bite can be serious and even life threatening. 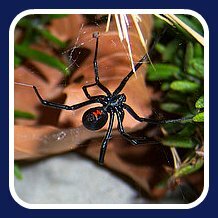 The Black Widow Spider is a close relative to the Red Back Spider from Australia. If the patient shows any of the symptoms of a Black Widow Bite get to a hospital immediately. Clean and irrigate the bite area. Application of ice or cool compresses. Usually it is safer to take a photo. Pain medication and or muscle relaxants may be given by a medical professional.